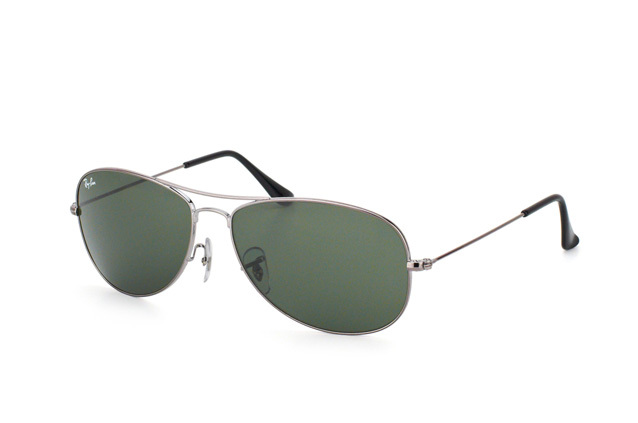 The Ray-Ban Cockpit RB 3362 004 combines flawless, classic design with high quality materials to produce these superbly crafted sunglasses. 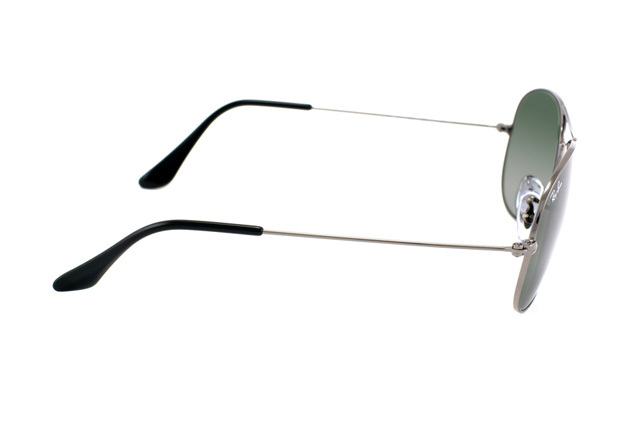 This unisex eye-wear is suitable for all face shapes but due to the slick slightly smaller frame, is also ideal for the smaller face. 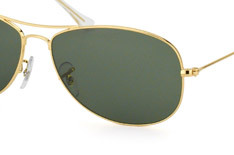 Whether shopping for yourself or browsing for a loved one, these attractive sunglasses are the ideal choice. 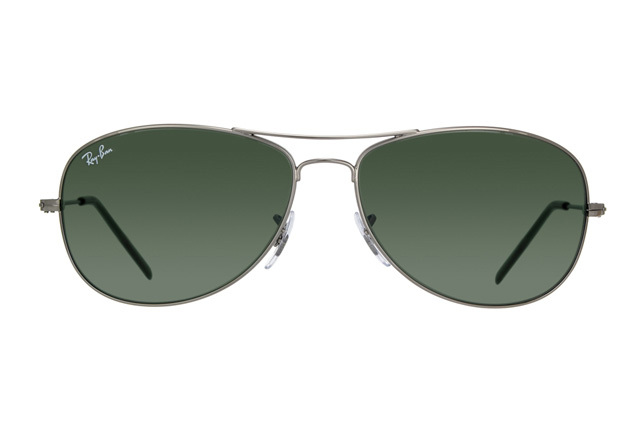 Trim metal frames compliment the green lenses and as the Ray-Ban Cockpit weighs a mere 22 grams, provide maximum comfort. 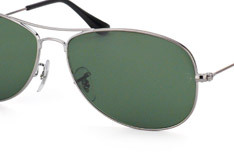 Additionally, adjustable nose pads ensure that you can achieve the desired fit. 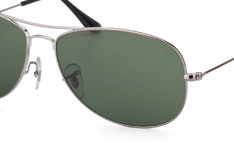 A UV400 filter provides more than adequate protection for the eyes, even on the sunniest of days.